GMB - Connecting Dual-Crypto into the Real World! GMB Platform will apply SPACE Dapps in a variety of business areas. As a first step, try using our own travel community service, TravelSpace (GMB Dapp). Those who prepare for travel need accurate and various information about their travel destinations. Provide future travelers with the necessary information and receive rewards with GMB Coin. Upload your travelog, photos, videos, travel information, etc. as travel content to organize an efficient community service. Try using global travel service industries, where advantages or penalties are applied depending on the verification and reviews, directly at TravelSpace. 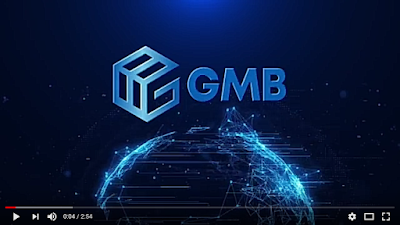 GMB is a decentralized platform using blockchain technology, unlike existing centralized platforms, that effectively improved the inefficient expenditure structure. GMB DEX, our own exchange, allows you to exchange Master Coin and Branch Coin used on the GMB Platform, and make simple and fast payments. GMB DEX supports various service platforms. The presence of GMB Platform will help our daily activities, such as when we travel, we can use TravelSpace (GMB Dapp) travel services. In addition we can see the benefits of the GMB Platform, including; Security, Speed ​​and Scalability. Speaking of security, the GMB Platform is equipped with immediate user response that cannot be implemented in other blockchains, great isn't it. Apart from that GMB platform achieves the highest level of transaction throughput (1 million TPS) that is beyond the transaction processing speed capabilities of existing blockchain technology. Fantastic isn't it !!! Regarding scalability, GMB Platform has enough guaranteed scalability due to the overwhelming transaction processing speed. It is very rare for us to meet platforms like this, where GMB Paltform has various fields, and this is done for the convenience of GMB Platform users. GMB cares about the problems of people today, so they launch a platform that will be useful for everyday activities. GMB is an acronym for Gold Master & Branch. GMB consists of Dual-Coins called Master Coin and Branch Coin. Master Coin is used as the key currency in GMB Platform, while Branch Coin is a separate cryptocurrency that is usable as regular money similar to the individual fiat currency of each country. GMB aims to develop cryptocurrency that can be used in real life. What are the advantages and features of GMB? GMB is not just an ordinary Dapp service implementing one business. GMB aims to be the type of blockchain platform, similar to Ethereum, EOS, and Qtum, that will allow multiple Dapps to be useable. In order to make this possible, we dramatically improved our transaction processing speed. The overwhelming transaction processing speed of 1 million TPS solves the problem of real-time data processing and service scalability, which are two main problems of existing cryptocurrency. In addition to these technical problems, we will solve the cryptocurrency’s problem of value variability, which is a big factor that makes it difficult to use as real money, by applying the use of our Dual-Coin system called Master & Branch Coin to realize the cryptocurrency that can be used in real life. You will be able to find GMB’s progress through TravelSpace, a travel community service that serves as Our Dapp. What is the total supply volume of GMB? The total supply volume of GMB Coin is 10 billion. GMB does not issue coins in a bulk similar to other Dapp services. The reason why GMB Coin is created through mining is because we do not create tokens using Ethereum or EOS. Instead, the platform coins are mined through our own blockchain Mainnet. In the case of a platform having its own blockchain, many nodes are required to maintain the blockchain system in a stable manner. In order to induce the participation of nodes, coin compensation, in other words mining, is required according to block generation. GMB is a ‘coin’ with its own independent blockchain network. Can I only participate in the ICO with Ethereum? Yes, it is only possible with Ethereum. What is the POPS algorithm? GMB will overcome the technical limitations of existing blockchains by increasing the speed with software solutions. To do this, we will combine software and hardware with our own technology called Mikkschain. POPS is an acronym for “Proof of Power Specification & Stake,” which is a means of Mikkschain-based equity verification consensus algorithm. It allows anyone to participate in the consensus process through the equity participation method of making their own shares participate in the block generation node. What are the advantages and features of the POPS Algorithm compared to existing algorithms, such as POW, POS, and DPOS, in terms of speed and transaction throughput? POW is able to create a blockchain of high trust through hash power with the method of Bitcoin consensus. However, there is the limit of inefficient consensus algorithm due to its slow transaction processing speed and high energy usage. POS is a consensus algorithm that eliminated the problem of high energy usage that occurred in POW. However, it also showed slow transaction speed, referring to the case of the CryptoKitties, and scalability of service inevitably became a problem. DPOS possesses a fast consensus speed due to the blocks being generated with a certain number of BP (Block Producer). However, there is a possibility of BP unification, and criticism of centralization of power and concentration of wealth still exists. POPS was developed to solve the problems of the consensus algorithm. It was designed to increase the transaction processing speed higher than any other consensus algorithm, while minimizing the concerns of centralization of power and concentration of wealth without unnecessary energy consumption. POPS allows anyone with the possession of hardware specification to participate in the block generation. If you do not possess one, you can still participate in the consensus process as a stakeholder node, which allows you to participate in your own stake. What is DEX and when will GMB DEX be commercialized? DEX is an acronym for Decentralized Exchange, which can also mean a decentralized blockchain or a cryptocurrency exchange. GMB consists of Master Coin and Branch Coin, and these Dual-Coins can be interchanged. In order for these Dual-Coins to be useful in any given situation, they must be exchangeable anytime and anywhere depending on the purpose of use. Since Master Coin does have value variability similar to existing cryptocurrency, the exchange rate during the time of the exchange is required for Branch Coin. Due to this reason, GMB is developing its own exchange, GMB DEX, to enable real-time exchange. GMB DEX will be commercialized when Branch Coin is issued for each country. Branch Coin will be issued in phases starting from the first half of 2019, taking into consideration of each country’s economies of scale and service environment. GMB is not just a project to solve the technical problems of blockchain. We aim to use GMB Coin directly in real life. To accomplish this feat, we need to address the biggest issue when using cryptocurrency: value volatility. For instance, if you are paying for a cup of coffee with cryptocurrency and the price of the drink changed within the span of a day between morning and evening, then no one will be able to effectively use cryptocurrency in real life. We want to solve this problem with Dual-Coins. GMB Coin is composed of Master Coin, similar to that of existing cryptocurrency, and Branch Coin, which maintains a constant value of 1:1 with the fiat currency of each country and will be able to use in real life. The Master Coin and Branch Coin can be exchanged immediately on GMB DEX, our own exchange, where the exchange rate will be applied to the fiat currency price of Master Coin traded on the existing cryptocurrency exchange. Since Branch Coin maintains the same price without being influenced by price fluctuation of Master Coin, it not only has a feature of using cryptocurrency in real life, but it also keeps your own assets stable when the price of Master Coin or the value of the country’s fiat currency falls. In order to maintain that stability, you can exchange and keep Branch Coin of a specific country. When I want to exchange my Branch Coin into Master Coin, how will you guarantee the value if the price of the Master Coin suddenly fluctuates? Basically, the value of Branch Coin is not affected by the price changes of Master Coin. Since the price of Master Coin in real time of each country’s cryptocurrency exchange is brought into GMB DEX as exchange rate and applied to the exchange rate of Branch Coin, it always has the same value as the fiat currency of that country. Even so, if the price of Master Coin drops when exchanging Master Coin to Branch Coin and vice versa, you would need a higher amount of Master Coin than the previous amount of Master Coin when exchanging Master Coin to Branch Coin. However, the insufficient Master Coin will be preserved as 2 billion Master Coins are secured as collateral from the pre-mining. In the opposite case, the remaining Master Coins will be deposited in the security deposit so that a stable exchange can be maintained. How fast is 1,000,000 TPS? The goal for GMB’s transaction processing speed is approximately 1 million TPS. Bitcoin is about 7 TPS, Ethereum is about 25 TPS, and EOS, which is the fastest so far, is about 2,000 TPS. GMB’s 1 million TPS is a speed that can overcome them all. The reason that we want to achieve this kind of high transaction processing speed is for the scalability of the Dapps that will provide service in our platform. No matter how well made the platform is, if the whole transaction processing speed becomes a problem with an increase in the amount of Dapps and the service does not properly work, then it cannot become a genuine platform. In this regard, GMB’s 1 million TPS implies that it will provide you with an environment where more various Dapp services can run without any problem. 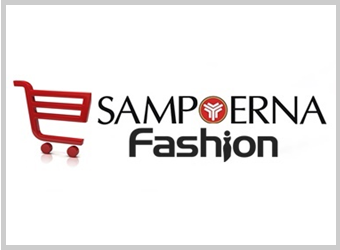 You will be able to do business that have been expanded, with multiple connected services. What is TravelSpace (GMB’s Dapp)? Before going into the topic of TravelSpace, we need to remind you that GMB is aiming for a blockchain platform similar to Ethereum, EOS, and Qtum. In order to become a suitable blockchain platform, high transaction processing speed, various Dapp development environments, and an easy-to-use user interface environment must be provided. We are committed to developing a platform with better blockchain technology and detailed service environment analysis. We are steadily developing more Dapps to be used in the GMB Ecosystem and to provide service. As the first Dapp to demonstrate the value of GMB as a platform, TravelSpace will offer a travel community service. TravelSpace is a service that allows you to upload your own content that you have created during your travels (pictures, videos, reviews, etc.) and receive rewards accordingly. But better yet, it is a service that provides better travel content to travelers. Even though TravelSpace is the first Dapp to demonstrate the performance of GMB Platform, it will not be limited to only these few features. We will expand the total service Dapp for travel by linking with various business, such as travel agencies, hotels, transportation, resorts, etc., through big data gathered by uploaded content.